Meet Nicole Broughton, a graduate of the Music Diploma program at Douglas College. The multi-talented musician gained essential skills and connections while at Douglas and she is now working towards becoming a music therapist. Douglas College students have the unique opportunity to hear from leading experts at the 28th Annual Human Behaviour and Evolution Conference (HBES) this summer at the Westin Bayshore hotel. Speakers from more than 20 countries will present on topics including psychology, biology, anthropology, criminology, literature and more, with a focus on human behaviour and cognition from an evolutionary perspective. With more than 200 scheduled talks, there is something for everyone, said lead organizer and Douglas Psychology instructor Laura Dane. "It has been my dream to have HBES come to Vancouver, since I first attended as an undergraduate student in 1998," Dane said. "Events like HBES bring the most current research, ideas and people together in one place. "HBES is also a place were many network with their international colleagues and catch up on old friendships. I personally have started collaborations with colleagues in Australia and Germany through past HBES meetings. As a student, at past conferences, I won the Best Poster Award and was able to network with my PhD advisers." This year, there will be two pre-conferences and a graduate student/student mentor lunch that will see 80 students meet in breakout groups to speak with mentors on a variety of topics. The first pre-conference will be held on June 28, 8:30am-5pm at SFU Harbour Centre, Joseph and Rosalie Segal Centre, Rooms 1400-1430. The topic will be "Cross-cultural and Developmental Perspectives on the Evolution of Behaviour and Cognition." The second pre-conference is June 29, 9am-12pm at the Westin, The topic for this event will be "Connecting Minds in Social Neuroendocrinology and Evolution." Douglas College Psychology student Santina Hammell, who is volunteering for the event, said she is excited to listen to the speakers, many of whom she has read about in research articles and texts. "To be able to meet or even be in the same room as many of the speakers is absolutely mind-blowing and thrilling. I cannot wait to make connections with these incredible individuals for the future. I am positive that this experience will solidify my choice to advance my education in the field of Psychology," Hammell said. The keynote speaker for the conference is anthropologist and "love expert" Dr. Helen Fisher of Rutgers University, who is also chief science officer for dating website Match.com. To encourage student engagement, any student who becomes an HBES member (student rate is USD$33 a year) can register for the conference for free before April 29. Early registration for students who are not members of HBES is $100. After April 29, registration for student members is $125 and $150 for student non-members. Registration includes all talks and the poster session, coffee and snacks from June 29-July 2, as well as a welcome reception. There will also be a barbecue held on June 30 for $40 that will feature Canada Day fireworks and a banquet on Saturday night ($47). Johnny Truong knew for a long time his future involved helping others. The Douglas College Nursing degree grad started his education at Simon Fraser University, taking General Sciences and Health Sciences before deciding on a career as a pharmacy technician. While working in the pharmacy, Truong volunteered at a nursing home, where he was drawn to the interaction nurses had with patients. After graduating in 2014 and working in hospitals as a registered nurse, Truong is ready for the next change. The 28-year-old applied and has been accepted to a number of medical schools in the United States, where he will pursue a career as a doctor. As with his admission into Nursing, entry into medical school is challenging. 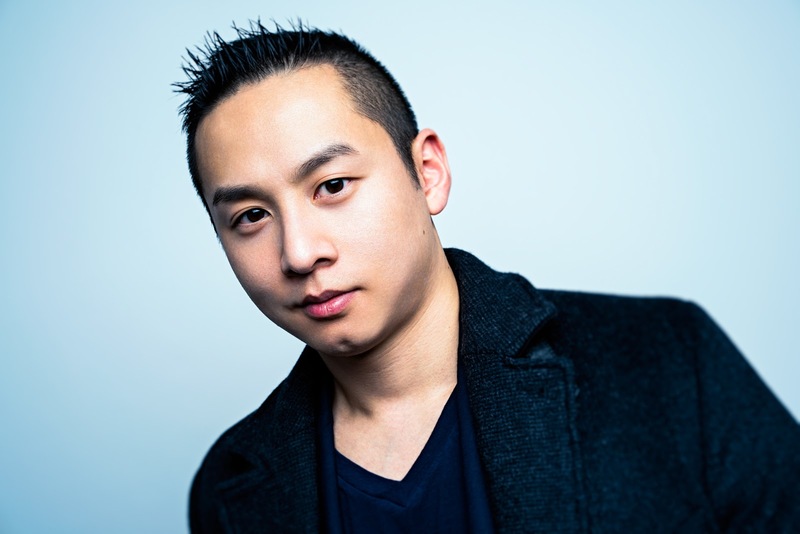 In the interview process for medical school, Truong drew upon his experience at Douglas College to guide him. With acceptance letters to medical schools in Florida and New York, Truong is one step closer to his goal. Truong intends to become a general practitioner with a focus on preventative care to stem the stream of people who come to the hospital. In his career as a nurse, he has come to understand the critical nature of preventative care. He notes his experience as a nurse will be essential to his success as a doctor.